You might want to think twice about your pocket change and notes as they may be worth a fortune. From erroneous coins to author birth dates, rare change and notes have been selling for hundreds and, sometimes, thousands of pounds. With new coins and notes being brought into circulation over the coming months and years, the opportunities to get a windfall from your cash are growing. Which? Money takes a look at the most valuable coins and notes that could find their way into your wallet – and how much you could earn. £2 coins made to commemorate the 2002 Commonwealth Games are among the rarest in the UK. Some 2.5m identical coins were issued for the games with one unique difference. Four sets of flags were featured among the set to represent the participation of the Home Nations’ – England, Wales, Scotland and Northern Ireland – in the games. Northern Ireland tops the value chain with a mintage of 485,000 (the only coin of the set to hold a mintage of less than 500,000) and currently sells for around £40 on eBay. The Welsh edition comes in second, with a mintage of 588,500 and fetches £24 on eBay. England’s version comes in third with a mintage of 650,500 and earns £23 on eBay. Finally the Scottish coin, with a mintage of 771,500, sells for around £17. 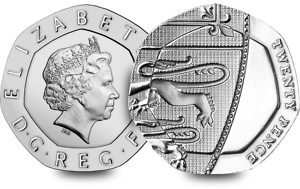 The 2009 Kew Gardens 50p coin is one of the rarest in circulation. It marks the 250th anniversary of the UNESCO World Heritage site and features a design of the Chinese Pagoda built there in 1761. Only 210,000 were minted and this rarity currently sells for around £135 on eBay. Coins circulated during the 2012 London Olympics are also moving up in the value chain. Designs featuring the football off-side rule and wrestling are increasingly sought after. They currently sell for around £25 and £8. 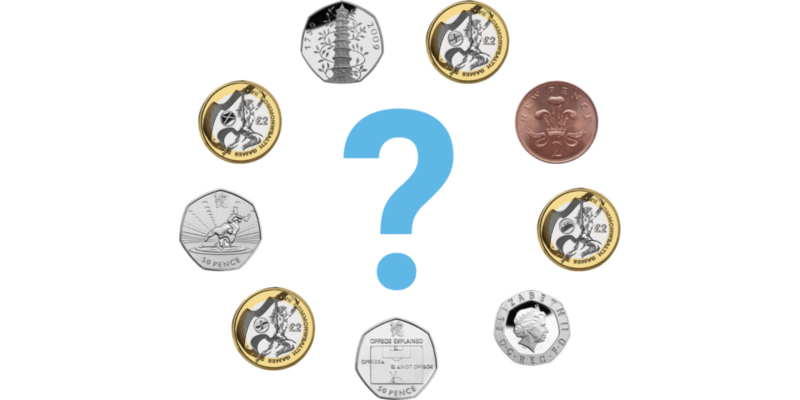 Find out more: Do you own a rare 50p coin? In November 2008, a number of 20p ‘mule’ coins were incorrectly minted and were left without a date. Of the 136m released into circulation from 2008-09, roughly 100,000 were affected. This erroneous rarity has a price tag of £100. 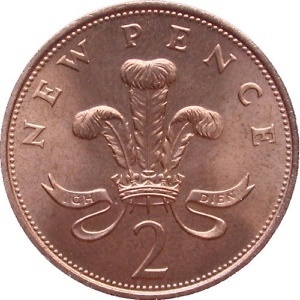 In 1983 the Royal Mint accidentally produced a small number of 2p coins that used an old inscription ‘NEW PENCE’ on the reverse. With so few in circulation, this coin could earn up to £700. While bank notes are not usually considered a collectors’ items, in some cases they can attract a large sums. Serial numbers can influence the value of a note in several ways. Lower serial numbers indicate notes released closer to the first set of printed bills. They can also be linked to key dates and milestones for collectors which increase their value. Mirco-engraver Graham Short created a stir when he etched Jane Austen’s face into the transparent segment of four of the new polymer £5 notes. Each note was also given a unique serial number and featured a quote as well. In December last year, Short spent the rare notes in shops across the four home nations. While three of the notes have already been found, one with the serial number AM32885554 remains. 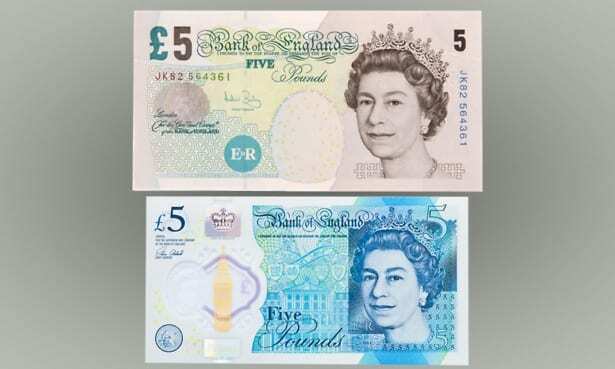 These rare notes could sell for up to £100,000, so you could be in for an unexpected treat the next time a fiver finds its way into your pocket. Another £5 note, a 1971 edition with the serial number A01 000004 which was presented to then-Chancellor Anthony Barber, sold for £16,800 in May. The new polymer £10 note donning Jane Austen design was released to the public on September 14th this year. 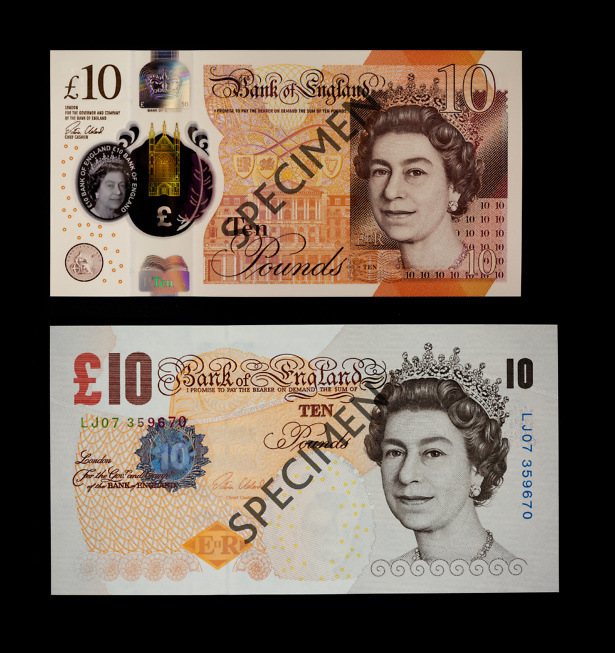 They will eventually replace the old paper-based notes, featuring the father of evolution Charles Darwin, from March 1st 2018. New notes including the prefix AA01 are likely to be valued highly. A Bank of England charity auction held at Spink and Son Ltd in October saw a note with the serial number AA01 000010 sell for £7,200. Prefixes to look out for include JA01, JA75 and JA17 which represent Austen’s initials, birth and death years respectively. It may however take years before these editions hit the printing press. Find out more: How to spot a valuable bank note. So, if you’ve been lucky to find a gem in your pocket, the first step is to check its authenticity. There are a number of expert traders or auction houses that can help determine the legitimacy and value of your note. Some notes have been auctioned off on online forums such as eBay but it is critical to make sure that you verify the purchaser, make sure they are genuine and receive payment. An alternative is to consult a traditional auction house to sell the note on your behalf. This service generally includes auction fees and you may also have to pay commission on the final sale price. Individual collectors can also buy valuable currency from you directly in person or online. Do you own a rare 50p coin?